600 people have been arrested following Monday's acts of hooliganism and looting and the government is urging all workers to return to work tomorrow as the situation has now normalised. The Minister of State Security, Owen Ncube made the announcement in Harare today flanked by other line ministers, Ziyambi Ziyambi (Justice, Legal and Parliamentary Affairs) and Cain Mathema (Home Affairs and Cultural Heritage). "Security forces have so far arrested 600 people in connection with these riotous acts, 214 of which have already appeared in court. Our security agents are on the ground monitoring the situation to ensure that those who want to engage in their normal business do so without hindrance. We are also appealing to all service providers to render their services to the people of Zimbabwe and in the same vein urge transport operators to resume carrying passengers, schools to open and generally for the public to engage in their various activities freely," the Minister said. Ncube condemned the violence and blamed the MDC Alliance and some NGOs for the disturbances. "We condemn in the strongest terms these acts of violence which have been witnessed in some cities and towns in the country. The government attributes all these unlawful acts to the MDC Alliance, their partners and funders, ZCTU, some NGOs and individuals. Government therefore places full responsibility for compensation for victims of the violence, destruction of property, injury and loss of life to the MDC Alliance and all its associates." 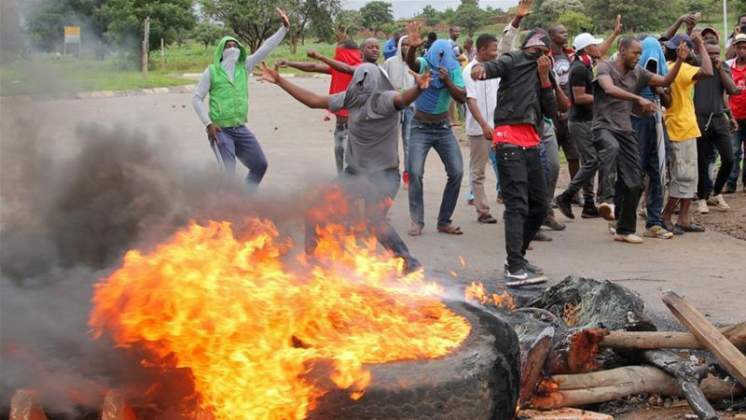 "MDC Alliance has been responsible for inciting violence through social media and unlawful gatherings that they have held prior to and during these unrests. MDC Alliance's Democratic Resistance Committees (DRC) and their parliamentary wing (the Vanguard) have been responsible for carrying out highly organised criminal activities during these unrests. These have been substantiated by the arrest of MDC Alliance officials such as Elvis Ruzani, the councillor for ward 42, Harare North who was part of a gang of 13 members who were arrested by police along Harare Domboshava road while barricading the road and wantonly stoning moving vehicles just to mention a few," he said. Meanwhile, Minister Ncube dismissed as 'fake, news being peddled by subversive elements to the effect that armed forces are being paid US$500 each," saying the government's position is that it will not pay salaries in foreign currency.